Hair brings one's self-image into focus; it is vanity's proving ground. Hair is terribly personal, a tangle of mysterious prejudices. Hair speaks. Yes, hair speaks a language only the head can understand. Martin Luther says that "the hair is the richest ornament of women." I must say that the hair is also an important design for men as our looks and the clothes we wear. It is a challenge for all men to fix our hair everyday whenever we go out. I like fixing my hair with hair gel daily because I am not comfortable when my hair looks ugly and in disarray. But there's nothing that beats hair gel, cream, mousse or wax, than the shampoo we choose to enjoy every time we take a shower. My barber and hair stylist would tell me that the thing that I apply on my hair makes my hair really dry. I am very meticulous in choosing the right shampoo for my hair. I really do. I have tried so many brands but the others make my hair very dry and thus lack the moisture my hair needs. One test that I have discovered to know if a shampoo brand meets a high standard in hair care is when you can use the shampoo everyday without losing the moisture and the softness. Definitely, the shampoo must also be rich in bubbles, smooth when applied on the hair and very pleasing to our olfactory sense. Other brands are only good to use within the first week, but it can already make our hair very dry, heavy and sticky in the weeks that follow. 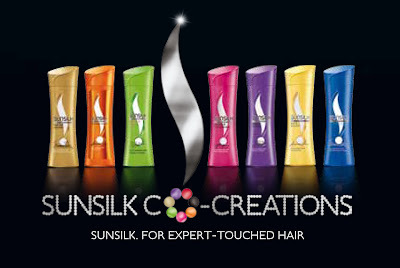 The new Best-Ever Sunsilk Co-Creations is the answer to our hair problems and needs. It has brilliant formulations co-created with the 7 of the world's best hair experts. Sunsilk brings to us 7 shampoo creations for our individual hair needs: Smooth and Manageable (co-created by Yuko Yamashita of Japan), Strong and Long (co-created by Teddy Charles of Paris), Damage Repair (co-created by Thomas Taw of London), Straight and Sway (co-created by Teddy Charles of Paris), Soft and Smooth (co-created by Thomas Taw of London), Anti-Dandruff (co-created by Dr. Francesca Fusco of New York), and Hair Fall Solution (co-created by Dr. Francesca Fusco of New York). The other 3 hair experts (who co-created the other Sunsilk products but are only available in other countries) are: Rita Hazan (New York), Jamal Hammadi (California) and Ouidad (New York). I first tried using Sunsilk for Damage Hair (orange bottle) because I would always commute by tricycle, jeepney, bus, train and taxi and it's not that easy to maintain a well-managed hair after all the moving and transferring from one transportation to another. The scorching heat of the sun is another enemy of our beautiful hair when we wipe our sweat endlessly and without equanimity and grace. 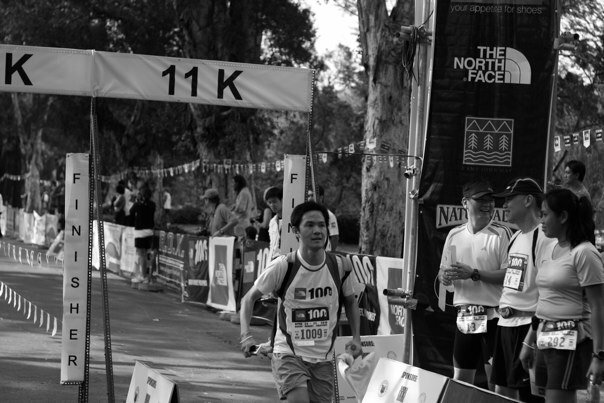 My hair is also exposed to the sun when I do marathon runs and other sports. It is just appropriate to use the right shampoo to protect it from damage. Sunsilk for Damage Hair is the right solution to battle against the threat of dryness, stickiness and ruining my hair. Because this shampoo is enriched with Olive Serum Nutri Complex that gently cleanses while reconstructing beneath the hair surface and filling damaged cracks deep inside - layer by layer, strand by strand. I felt the ultimate softness as I rinse my hair with water. Sunsilk has really gone a long way since it was first launched in the United Kingdom in 1954, and became Unilever's leading international shampoo brand. Then the product expanded its market and made available in 18 countries worldwide in 1959. Over the past decades since its inception, Sunsilk has never failed us and is always there to help us in taking good care of our hair by introducing their latest innovations. I envy other men who know how to take good care of their hair and know how to style it. I am still lucky though that my hair is very healthy but cannot be fooled by other shampoos that can't satisfy my discriminating taste and needs for hair care. Oftentimes our hair loses its shape and diminishes its character when not treated or taken care of. According to Alan Fletcher, "Style amplifies content with personality and at its best has panache and a confidence in expression." The way we style our hair must also couple it with our personality and the way we carry ourselves. The new Best-Ever Sunsilk Co-creations is what we really need for our hair. What more can we ask for? Try it to believe. Daniel Dennett asserts that, "A person can be conscious without thinking anything. But a person simply cannot be conscious without feeling." That is why we need to be conscious with our hair and the shampoo we use everyday. I shampoo, therefore I am. Add Hair Experts Facebook Fan Page. I love the new Co-creations shampoo by sunsilk! it works even with short or long hair! Nakakauwa naman ang pic mo with Tim Yap! Hi Arvin. Sunsilk is a good choice. I prefer the green one. I haven't checked out the new edition to see which one will work best for me. Nice hair you got there Arvin! Nga pala wish ko lang I could also use my url for this comment post rather than my blogger account profile hehe. Nice pics Arvin... good luck!! parang alam ko yung last 2 pictures ah.... I was the one who took them haha!! matry nga itong co-creations ng sunsilk. I'm excited to try my Sunsilk shampoo. I am always very concerned about hair damage because of all the chemicals we heap on it so a shampoo that repairs damage is thumbs up for me. I agree with your choice of shampoo. btw, i'm also using sunsilk green. i use a lot of product on my hair, which is why i need a shampoo that could repair the damage caused by these styling products! sunsilk rocks! Awesome blog! When I lived in the Philippines, I always used Sunsilk; their products are amazing! :) I would sometimes use the orange or pink one. - Jameelah. @FPJr: Haha! Walang kastyle-style ang buhok ko e.
@J (JEN): Sosyal si Jeff ha. Dep pa ang gamit niya. hehe. Why not include your url as a link to your comment? @BOY KURIPOT (JEFF): Yes, try it and see the difference. @SAM (SOL): Awesome look! Thanks! @ALEX: haha. Mahilig ka pala mag-style ng hair. @MODERATOR (MEE-I): Yes, dapat talaga pantay-pantay lang. How's the green shampoo? @DINGDONG: Tama ka diyan. We need a shampoo that can repair damage. Everyone can relate to your story. Yes, even men are super conscious with their hair. My hubby actually uses more shampoo than I am!What , with his short hair. I agree, its not being gay that men should take care of their hair as women does. Its personal hygiene. Most of the men don't shampoo or use a conditioner especially if they have short hair (semical), regadless of, they should take care of their hair too. I'll try this variant that you used since my hair tends to get damaged also because of the elements and constant styling. I'm using the purple sunsilk. ganda nya sa hair. Definitely, Sunsilk has been created for Flipinos, men and women alike. It is part of the daily life of many, young and old, too. Convincing. I didn't know that men can use that shampoo. Thanks for tha info! BTW, nice hair you got there! so many choices! I might try one of the variants as soon as our shampoo runs out. Nice snaps! Your blog is poles apart. You had a massive occurrence. Thanks for sharing your outlook. Very well written. All the best to your writerly life!